The Massachusetts Historical Society has selected Salem, Massachusetts, as the location for its annual educators workshop, focusing this year on maritime history. 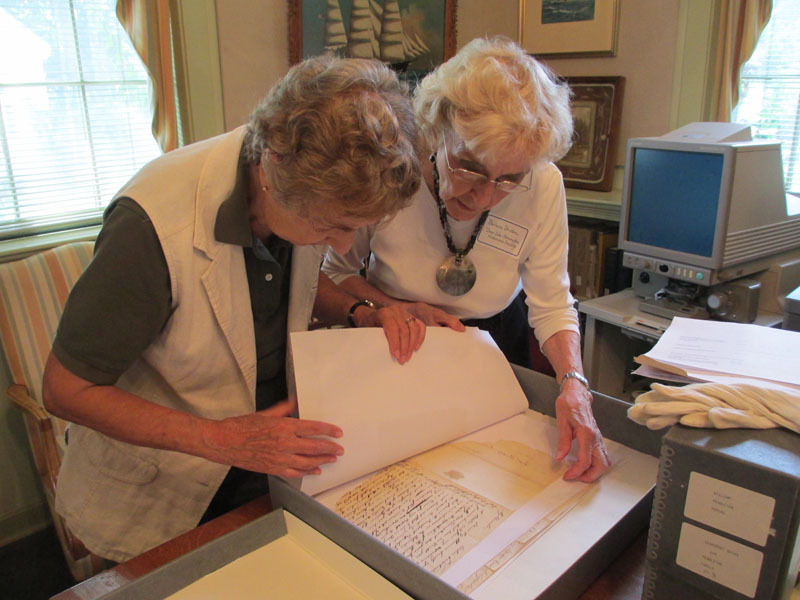 Historic New England’s Phillips House is home base for the Maritime Massachusetts: Salem Stories and Sources workshop, which takes place July 20 to 22 and is funded by the Richard E. Saltonstall Charitable Foundation. The workshop includes a presentation by Education Program Coordinator Jessica Graham, who developed a maritime school program for Historic New England sites. She will lead a teacher roundtable discussion on ways that local historical societies and historic house museums can better help teachers in the classroom. Massachusetts Historical Society staff will share stories from their collection relating to New England’s role in the China trade and maritime history. The Massachusetts Historical Society selected Phillips House in part because of its proximity to a range of venues around Salem. The workshop includes a hands-on sail aboard the schooner Fame, the House of the Seven Gables’ Caribbean Connections program, and tours of the the Peabody Essex Museum and the Salem Maritime National Historic Site. To learn more, or to share this professional development opportunity with an educator you know, please visit the workshop website.